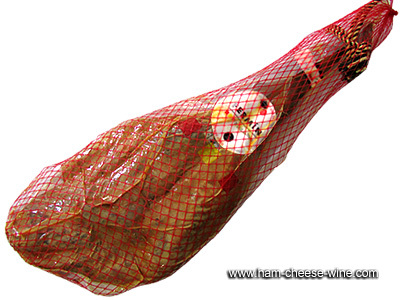 The average weight of ham is 15 lbs. to 16 lbs. could come off and to cover it with a clean cloth or paper towel. Do not cover with plastic or foil because it could go moldy due to the lack of perspiration. 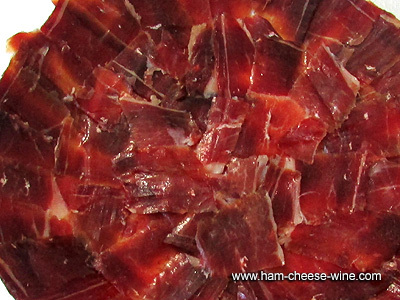 Support yourself with a board and a sharp knife to cut slices of the Iberico Ham by Fermín. Cut only the amount consumed. 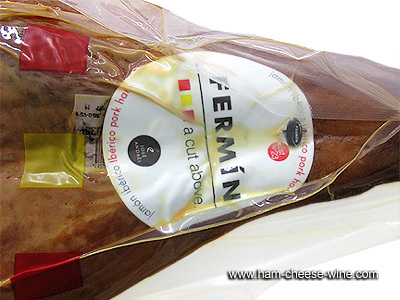 The taste of Iberico Ham Fermín cut is not the same to day of the cut as the day after. with the bacon removed during cutting, also cover the entire piece with a porous towel. 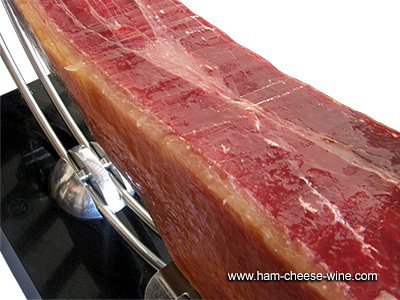 Once the first cut is made, use a slice of the ham or preferably the top layer of the fat to cover the cut surface, this prevents dryness and loss of flavor, also contributes to the preservation of the product and its quality for a longer period. content and slow traditional natural healing in the warehouse. The fat must be soft, yellowish outside and must yield under the pressure of the finger. 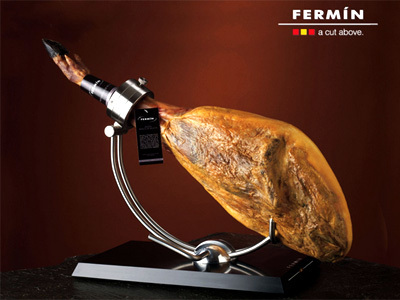 The unique quality of an Iberico Ham Fermín is the result of the ¨Maestro Jamonero¨ experience and due to the meticulous selection of the pure breed Iberian pigs, reared in the pasturelands and fed on high quality grains. To do this, the ¨Maestro Jamonero¨ is responsible for choosing those pieces that meet all the organoleptic qualities, also for processing and treating each piece according to size and fat content. 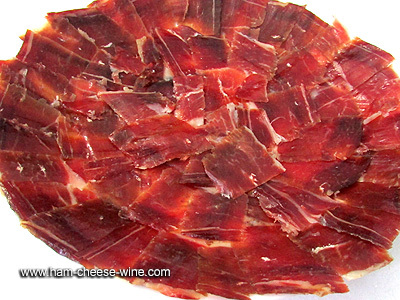 What is so special about the Iberico Ham Fermín? because it is low in calories, with fantastic qualities for health and nutrition of people. 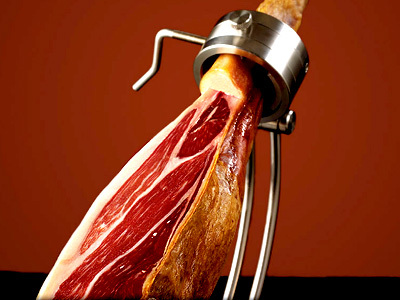 According to studies conducted in California, USA, Iberico Ham has zinc in approximate proportions of 2.3 mg per 100g of ham; this mineral is very important in the diet of young and old people as it improves mental activity, enhances the immune system and reduces the risk of arteriosclerosis. Other studies indicate that this mineral is effective to alleviate syndromes such as madness, anorexia and diabetes. 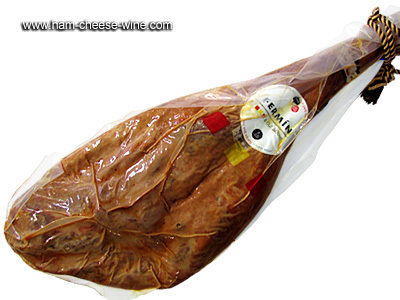 All this makes the Iberico Ham Fermín an excellent item for your diet. its antioxidant and improve the joints conditions and the body in general, which makes this product a healthy food. The Iberico Ham Fermín designation has also obtained the recognition of the EU as a Traditional Speciality Guaranteed (TSG) and entered in the Register with that name by Regulation 2419/1999. This product has been recognized as the first Traditional Speciality Guaranteed of the Spanish food industry. generation and has managed to become the first breeding pure black Iberian pig farm, where these animals find food that helps them to achieve the quality of their products. FERMÍN brand with a tradition of more than half a century, exporting its products to many countries impose the quality of their products and style of work that has provided countless awards, as well as the award for "Best Spanish Food Company "in 2006.